The City of Cape Town has been battling the worst drought in over 100 years. Government departments have helped the city with cash boosts of millions of rands and several projects are in the pipeline to find alternative ways to source water, as well as strengthen the infrastructure and water network. But the struggle to alleviate the water crisis continues. 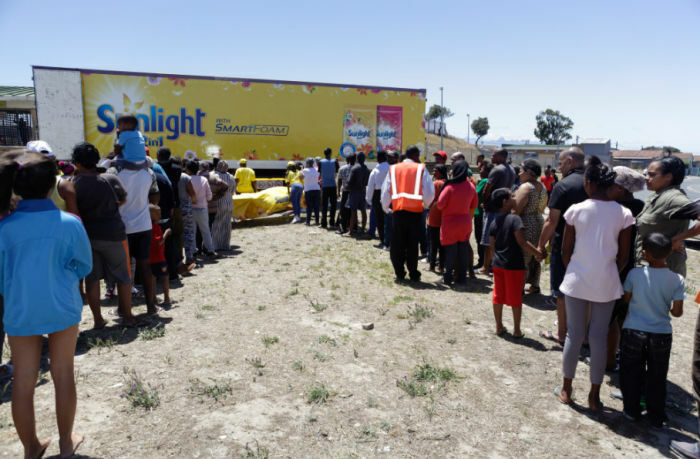 Unilever's Sunlight Washing Powder has donated 64 000 litres of water through the month of November and a further 144 000 litres was donated from 12 to the 15 of December to bring some relief to the drought-stricken communities in Cape Town ahead of the festive season. Justine Agnew, Sunlight Laundry South Africa Brand Manager says, “Water is the most precious resource and contributing towards assisting the drought-stricken communities has been a heartfelt experience for us." Apart from drinking water to survive, people need water for personal hygiene as well household chores such as washing clothes amongst other things, says Sunlight. 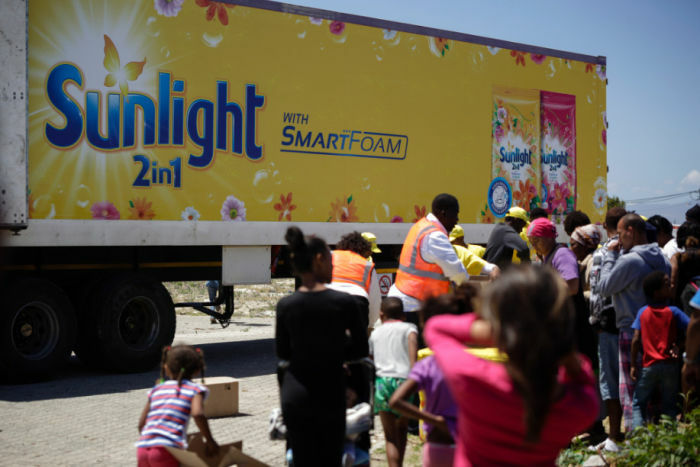 Unilever explains that from March to June 2017, Sunlight saved over 78 million litres of water by changing customers’ laundry behaviour with its innovative Sunlight 2-in-1 SmartFoam Technology. This fragranced washing powder uses half the rinsing water. 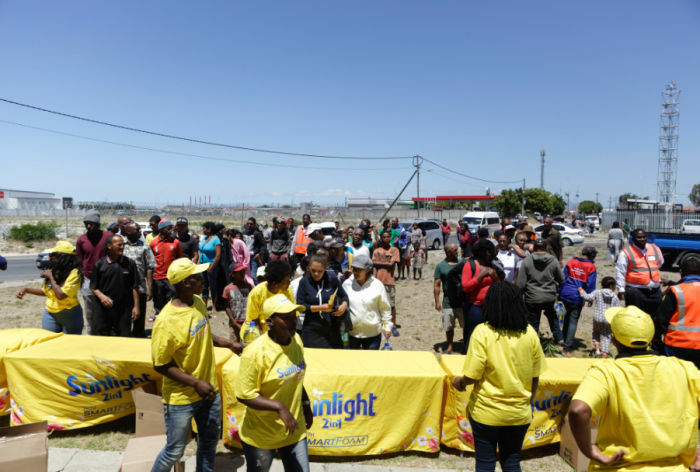 On 10 and 17 November, Sunlight donated 64 000 litres to Philippi, Khayelitsha, Strandfontein and Good Hope – Endlovini Informal Settlement. 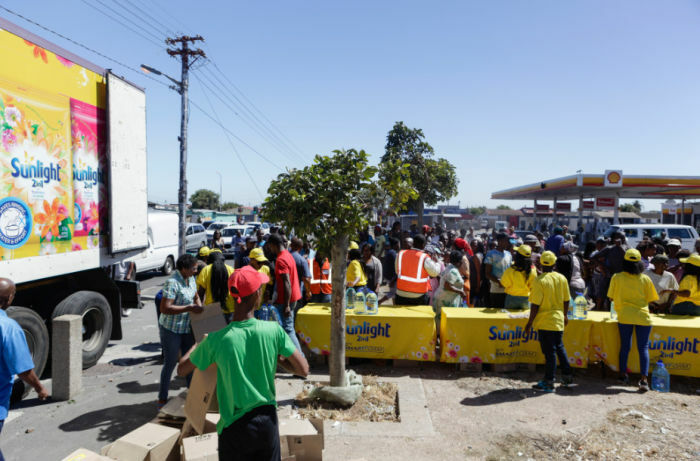 To add to this, Sunlight also donated a further 144 000 litres of water from the 12th to the 15th of December to communities including Delft, Brooklyn, Mitchells Plain and Gugulethu.